Yes, you really can make your own (healthy) chocolate at home, from scratch. The only online chocolate making course for people interested in making high quality, raw, plant-based chocolate at home… for themselves, friends & family. Imagine… the kids have gone to school and you have a couple of hours to yourself. You head into the kitchen and you know exactly what to do. You’re going to take a little time doing what you love… making healthy raw chocolates. As you melt down the cacao butter, feeling confident in the process, you’re looking forward to surprising your kids when they come home to some healthy chocolate treats. It feels so good to know that you’re making your own chocolate, because you know every single ingredient you’re putting in is healthy. Plus things always taste better when mom has made them. Or imagine this… it’s the weekend before your friend’s birthday, so you’re going to make a batch of a new chocolate with the new flavours you’ve been thinking about (and some extra for you and your family, of course). The birthday weekend comes and you present your friend with her gift; a box of beautiful raw chocolates, made by you. She’s over the moon and comments on the amount of effort you must have put in. You smile because it didn’t feel like an effort, in fact, you enjoyed it! All of this because you learnt how to make beautiful, healthy chocolates as a The Raw Chocolatier student. The beauty of raw chocolate is whether hand made or store bought, it’s clean. That means no fillers, preservatives, emulsifiers, dairy, refined sugars or artificial flavours/colours. The absence of those items means you are eating a pristine product, one you can trust and one that doesn’t leave you feeling sick and full of regret. In fact, many students report feeling happy and uplifted from eating raw chocolate. The taste is also incomparable to it’s cooked counterparts — the purity of flavour is unparalleled. When you use only pure, natural, high quality ingredients there’s no other outcome! Just like the movie Chocolat (don’t act like you didn’t want to be Vianne feeding people magical chocolates, we all did!) and all the beauty that comes along with it. By making your own raw chocolate, you are able to source and choose the very best ingredients to work with based on your desired taste and ultimate outcome. You’re there every step of the way and can watch as the chocolate goes through each individual phase of creation, from grinding (if you decide to grind it yourself, it’s not a requirement) and tempering to casting into moulds and the glory of watching them easily slip out to reveal their brilliant shine. Making your own chocolate is an achievement, a celebration that can be shared with all the people you know and love. The alternative is to have to scour the shops for ‘the closest thing’ to what you’re looking for. As you may have already found out, that’s a tricky task. It’s difficult to get a really delicious bar of chocolate and feel happy with all of the ingredients. Even when you do find one you’re happy with, you’re kind of stuck with that one. PLUS you’ve probably found out, the healthier and more specialist the chocolate, the more expensive they get!! When you’re able to make your own chocolates, with exactly the ingredients you want, with a huge variety of tastes, textures and flavours, then you’ll feel like eating healthy treats without restriction has never been so much fun. Petra’s chocolate is something we see all the time; untempered, powdery and crumbly chocolate. If you just follow a recipe from a book, this is often what you’ll get, with no way of finding out what happened. Can you see that the chocolate doesn’t look ‘finished’? You couldn’t give these as gifts, that’s for sure. Yes, this IS actually a photo of Petra’s chocolate! Amazing, isn’t it? Such a difference! Not only has Petra created chocolates easily good enough to give as gifts, she’s now gone on to start selling her chocolates too. Even if you’re never planning to sell your chocolates – which most of our students aren’t – don’t you want your chocolate to look like something special? What’s stopping you from making really great raw chocolate? Over the years Russ and I have been teaching, we’ve consistently seen people struggling with making raw food and raw chocolate, when they really don’t need to. Trying to learn from books will only get you so far. Books have lots of great ideas, but they don’t give you a recipe for basic raw chocolate. Sometimes they’ll just tell you to melt down store bought chocolate bars (really?? ), which isn’t going to give you full control over the ingredients that go into your chocolate. It also doesn’t count as ‘making your own chocolate’. Most of the students that come to us want to know EXACTLY what’s going into the chocolate, so they can make the healthiest chocolate possible to give to their family. To do this, you’re going to want to make it yourself, from scratch, with the ingredients you trust. And what if a recipe or technique in a book doesn’t work out? There’s really no way to know what went wrong and what to do to fix it. It’s especially hard if you’re a visual learner. Even the most detailed photos will only get you so far. But seeing it done in front of you, either in person or on video, you’re able to notice the intricacies of the textures, consistency of the chocolate and the method start to finish, which increases your chances of success massively. Then even if it goes wrong, you need a place you can come to ask questions. We provide this in The Raw Chocolatier. You’ll be able to ask questions in each of the lessons, or you can share in the Facebook Group to get help from your fellow students, some of which are now professional chocolate makers, selling their own chocolates. Is it even possible to make high quality raw chocolate at home? People come to us genuinely curious if it’s even possible to make high quality raw chocolate at home. This means they either don’t try to begin with, or when they do try, will settle for less than perfect results (the type you see in the ‘before’ picture above). They’ll often put their poor results down to ‘not having the right equipment’… and who wants to invest in lots of expensive equipment when they don’t seem to be getting anywhere with even the basics? b. You don’t need a kitchen full of expensive, professional chocolate making equipment to produce stunning chocolates. In The Raw Chocolatier Amy takes great pride in showing you how to get started making raw chocolate at home, with what you have already. You may need to get a few more pieces of kitchen items to make your job easier, but you won’t be asked to set up a full professional chocolate production setup. Most people can get started spending less than £75. It also may be true that once really getting into your chocolate making you’ll want to buy extra moulds, upgrade your blender and maybe even get a stone grinder (which are very reasonably priced now, at under £200) but at least by then you’ll already be producing amazing chocolates and you’ll know you have a love for this. Never learning how to ‘temper’ chocolate. Tempering chocolate is a combination of heating, cooling and constant motion done in a specific way that makes the crystals of the chocolate uniform. Why is this important? Because it’s the tempering process that gives chocolate bars a shiny, snappy finish and makes the chocolate more stable at higher temperatures. So if you’ve ever made chocolate that’s powdery, melts at room temperature and doesn’t have a shine to it, that’s why. This is another limitation with trying to learn chocolate making from books; they rarely cover chocolate tempering, and even when they do, the chances you’re going to successfully pick up this process from a book are very slim. There are many ways to temper and Amy covers several of them in The Raw Chocolatier course. Plus, they can easily be done at home (no expensive chocolate tempering machine needed). Learning this in person or by a very well thought out and produced video lesson is really the only way. So why do our Raw Chocolatier students get such great results after going through our course? The Raw Chocolatier online course is separated into six different levels. It’s designed to take you from complete beginner to advanced across those six levels. It will give you a greater understanding of how to make and work with raw chocolate overall, whilst also giving you the detail you may want. So whether you want to just make simple, high quality chocolate, or make the raw Willy Wonka style chocolate bars that have been whirling around in your brain, this Raw Chocolatier course will give you the skills to make them a reality. After completing the course, you’ll be able to impress your family and friends with your stunning, professional quality, healthy raw chocolate treats. All made at home. Not only that, we offer certificates of completion for each of the levels, so you can proudly display evidence of your chocolate making skills, although let’s be honest, your chocolates are all the evidence you need! The entire course is taught by me, the World’s Leading Raw Chocolatier. I’m a professional chef, a consultant to some of the most well known raw chocolate companies, and have dedicated my career to raw chocolate and desserts. My recipes always work: they not only look good but taste great too. As you’re going through the course you’ll find yourself having all of your questions answered by me as I walk you through the process on video. If you have any extra questions after watching each video, you’ll be able to ask it right there in the lesson, to be answered by me or one of my trained Raw Chocolatier assistants. When you become a Raw Chocolatier student, you’ll have lifetime access to the course. It’s helpful to have a course that you can work through at your at your own pace and refer back to whenever needed. That way you don’t need to feel pressure about getting things completed by a certain date. My style of teaching is easy to follow and foolproof. All you have to do is follow along with the video, download the simple PDF recipe, and you’re on your way. As well as being able to ask questions within the course, we have a very active Facebook Group where you can ask questions of your fellow students (and share your successes). You’ll also be inspired by others’ creativity and success. No need to go out and spend money on ingredients and equipment you don’t need… get set up for the entire program, with as little outlay in time and money possible. Make better chocolate by learning the process of chocolate making, bean to bar. Make the process of chocolate much more enjoyable and creative, by creating a distraction-free environment that will feel like your own personal chocolate making oasis. Make sure all of your hard work tempering your chocolate (making it shiny and snappy) doesn’t go to waste… learn which sweeteners to use and how to prepare them. Learn how to get that satisfying ‘snap’ to your chocolate… you’ll learn several methods for tempering that will make your chocolate shiny, snappy and stable at room temperature. Be free of needing to use other people’s recipes! Follow along with Amy’s creative process (developed over 15 years) so you can instantly start to come up with your own recipes. Learn to create unique aromas and textures in chocolate, by flavouring or candying ingredients, such as buckwheat, seeds and others. Learn about the perfect garnishes for truffles and pralines. Amy will show you a handful of ways to use nuts to garnish and to add texture and flavour. Learn to create beautifully finished chocolates by layering colours, splatter effects, marbling and more. Learn how to colour your chocolates for spectacular, eye-catching and impressive results. Once you learn how to do this, the only limit is your imagination. Take the first steps to developing your very own soft centre chocolate recipes. To get you started, we’ll have you follow the five praline recipes, from Gingerbread Spice to Strawberry Rose. Discover how to start creating dozens of unique bonbon recipes. Amy will get you started with seven different recipes ranging from madras curry to raspberry violet. Rediscover your childhood with healthy versions of your favourites, such as After Eights. Then we’ll let creativity take over, developing recipes such as Passion Fruit, Ginger Creams and other soft sugar cream centres. Learn how to add fresh elements to your chocolate (think chocolate and raspberry) with jams. Not only will jam be standalone fillings, but you’ll be able to use them as garnishes and accompaniments. How to make perfect filled chocolates, ganache tarts and truffles by learning proven recipes for soft or hard ganache chocolate. Take your chocolate making to a new level with ‘chocolate work’ (we like to refer to it as organised play time). This means you’ll be able to make items such as bubble chocolate, chocolate bowls, or chocolate cigarettes. Make filled chocolate bars or 3D chocolates… such as Easter eggs. Once you learn this chocolate shells technique you’ll be able to make a huge array of filled chocolates for all kinds of occasions and events. Learn six recipes so you can mix and match them to create your own bars. Think… wafer type base, like a KitKat, or a crumbly base or a shortbread type base, then being able to layer them up with fruit caramels, praline and waterless ganache. Create layer upon layer of flavours, textures and colours with some more childhood favourites, such as Snickers, Peanut Butter & Jelly and Mint Chocolate Chip. Master two types of truffles, one being a delightful traditional ganache using surprising flavour combinations, plus a modern take on a classic truffle. Create nostalgic pastry shop sweets with raw baking, cake making and chocolate. What is a stone grinder? Learn about the incredible nut and seed butters you can create with this wonderful piece of equipment, which is now well within the reach of the home user (around $200). Know how to prepare your ingredients for the best result (and not break your new stone grinder), so you can watch your first batch of nut butter or chocolate grind with peace of mind and confidence. Save money by learning to make your own nut, seed and coconut butters. Amy will show you both crunchy and smooth nut butters, along with seed butters like tahini. Amy will also show you how to sweeten your butters and spreads using both liquid and dry sweeteners. It’s important to get this right, as both wet and dry processes differently and will go way too thick (seizes) if you get it wrong. Get super smooth home ground chocolate… this may be the entire reason you purchased your stone grinder! From simple white decorating chocolate, to a fully bean-to-bar batch of chocolate made at home, you’ll learn how. 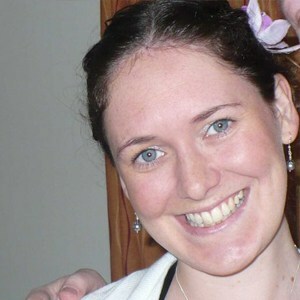 I took Amy’s course in 2012 as a treat to myself, after being left some money. I wanted to be able to make raw chocolate for my family, as I wasn’t impressed with the raw chocolate on the market. It all seemed a bit overwhelming at first, but with Amy’s base recipes I started getting creative with different colours and flavours and ended up creating my own recipes and making truffles for friends as well as my family. All of my online courses are delivered via The Raw Chef. So when you purchase, you’ll be taken to therawchef.com to complete your order. 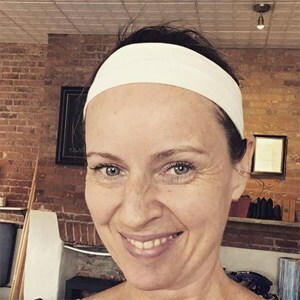 I chose The Raw Chef because they’re so customer focused and have vast experience in delivering online classes. I am active in all my courses, from the Facebook Groups to the courses Q&A sections. I just wanted to make chocolate so badly. My fascination with it beyond just loving the taste, was when I read about the mystical qualities of the raw fresh cacao straight from the pod. Before The Raw Chocolatier course, I’d tried to make a few batches without knowing anything about tempering or right ingredients, which was frustrating and disheartening to say the least. Finally I found The Raw Chocolatier online and wow… learning about tempering was like learning a hidden secret! Having the chocolate pop crisply out of the molds was so exciting! If you don’t LOVE The Raw Chocolatier courses, we offer a 30 day prompt and courteous refund guarantee. 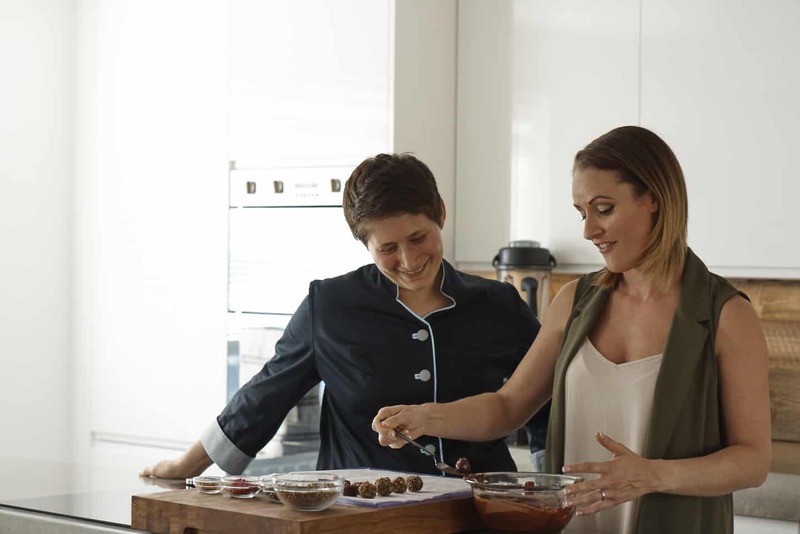 Amy is a professional chef, a consultant to some of the most well known raw chocolate companies, and has dedicated her career to raw chocolate and desserts. 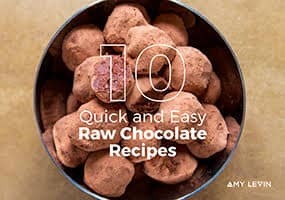 As you get into these lessons, you’re going to see that in action, and just how easy and FUN it is to make delicious raw chocolates at home. We’ve put a huge amount of time attention into these courses to make sure that’s the way it is. There’s just nothing else out there like this. So here’s my simple offer: If you don’t LOVE these courses, just drop us an email within 30 days (you can reply to any of our emails, or write to [email protected]) for that prompt and courteous refund. So there’s no risk in trying us out if you’ve been thinking learning how to make raw chocolate: Join the courses and see for yourself. Due to my lifestyle and health problems, I was searching for healthy treats, and chocolate in particular. Since I was not happy with other available chocolate courses, I searched and found Amy. I bought The Raw Chocolatier course online and a whole new world opened to me. In the beginning when trying new recipes I was scared. But Amy’s support in the course, plus the support of the Facebook Group has been so helpful. I’m so happy with the chocolate I’m making now! Before I learned to temper my chocolate, I thought my product was pretty good and I got a lot of positive feedback from customers of my Chocomama business. However taking your online course, Amy, took my chocolate to a whole new level that I was really pleased about. I was able to produce professional bars that looked great, tasted delicious and continually got the thumbs up.